What happens if you connect the Drone and the Bitcoin exchange? 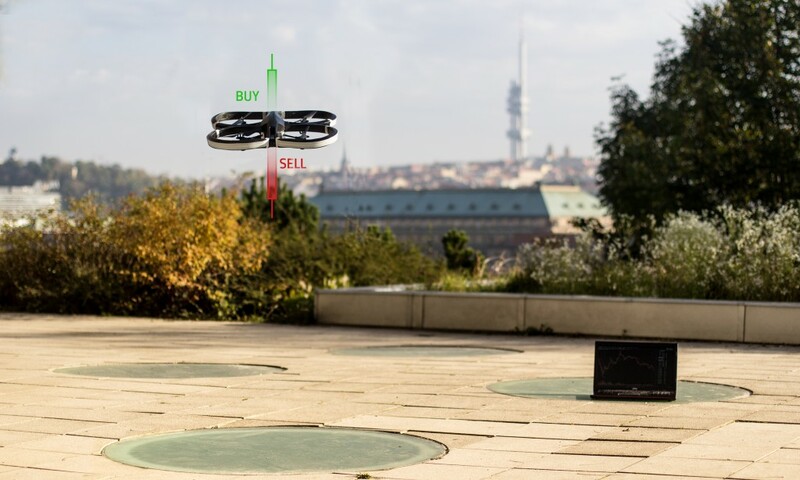 AR Drone 2.0 is controlled by a patch connected to Bitcoin exchange BTC-E. Real-time trading data control the thrust of the drone engines. 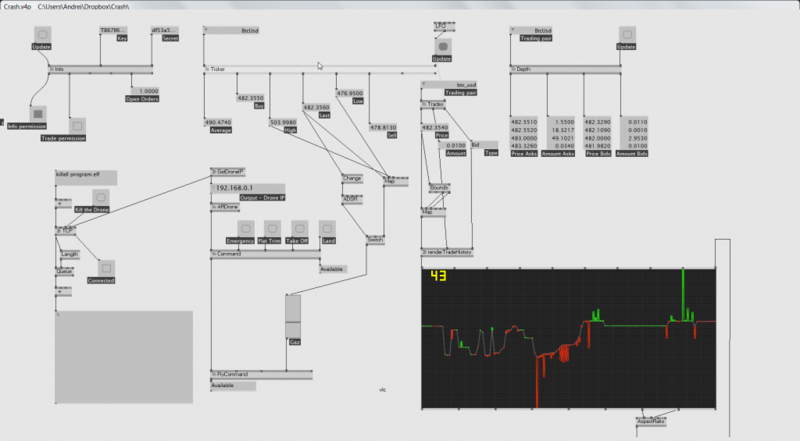 If you like the thrill of on-line trading of cryptocurrencies, this data eventification tool gives even more drama to it. Andrej Boleslavský is an independent artist purposing technology in the fields of new media art, interactive design, physical computing and 3D printing. His primary inspiration comes from cross disciplinary interaction and the free exchange of ideas among collaborators. His work also maintains a strong fascination with the entanglement of nature and technology.